YOUR SEARCH IS OVER!! 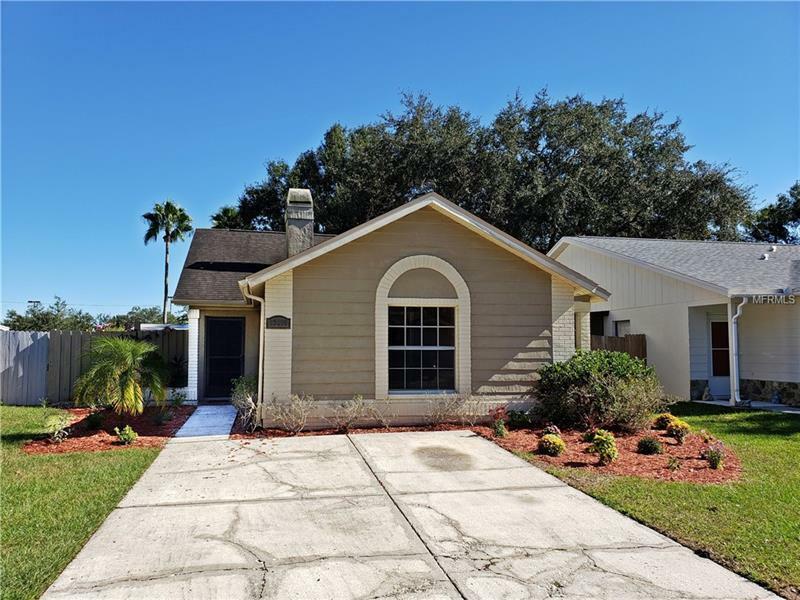 You don’t want to miss this beautiful 2 bedroom, 2 bath (COULD BE A 3 BEDROOM – back porch on house is enclosed and has an air duct running to it) home located in the desirable Summerfield community of Riverview!! This home features a New A/C System, tile throughout the entire home, a large open living/dining area, vaulted ceilings, large bedrooms & a fireplace. The kitchen has a pass-through bar to the dining area and features all appliances w/a small eat-in space and has quite a bit of storage and counterspace. The master bedroom is is located at the front of the home & has its own vanity & tub/shower! Ceiling fans are located throughout the house and the enclosed oversized lanai could be converted in to a bedroom or used as extra storage or a play room & you will also find it has a storage closet which is always needed. The private fenced-in backyard has plenty of shade, a pavered patio that is perfect for grilling, & a large shed for extra storage. The roof was replaced in 2011!! The community amenities includes: clubhouse, pool, soccer field, tennis courts and playground. This is a golf course community and is a close distance to A rate schools. Conveniently located near US 301, I-75, I-4, US-41, Crosstown, St Josephs Hospital South, Amazon Distribution Center and is an easy commute to MacDill AFB. Take a look today, this won't last long!